WONDERING WHAT CAREERS OR COLLEGE MAJORS SUIT YOUR WORKING PERSONALITY? We would love to help you determine which career field or college major is right for you. eLCie specializes in identifying jobs or college majors that are not only compatible with your specific working personality but will allow you to thrive and even take leadership roles if you so choose. We have an online assessment that allows you to identify the right career path for you. Visit Careers 4 Me™ to get started. If you are a career counseling professional who needs a quick and powerful tool to help you accurately identify potential career paths for your clients. The following links will help get you what you need. Q: How do I find out what skills and abilities are required for my chosen college major? A: Pick some interesting Job Titles from your college major and use these titles to enter O*NET™ OnLine. Each Job Title has Skills and Abilities sections within the Summary Report. These are the Skills and Abilities that you will need to acquire during college. Also, check the Job Zone for the educational preparation required for each job. Q: What can I do if I don't like my job but I want to pursue the same career track? A: Identify your career track by Job Family or by Career Cluster and, for your working personality, look for options within these. Or, locate your Job Title in O*NET™ OnLine, find Related Occupations and see if there is something within your career track. In the Related Occupations list you should have the Knowledge, Skills and Abilities to make the transition. Q: How can you help me make a career change? A: You will need to go to O*NET™ OnLine and find your current job. On the Summary report, look at Related Occupations. If any of your interesting occupations matches, or is very similar to, one of the related occupations, you can be assured that you have the KSAs (Knowledge, Skills and Abilities) to handle the occupation. You should be able to use transferrable skills to construct an excellent resume for the new position. Q: How is taking the MBTI® instrument beneficial to High School students? A: Your MBTI® letters will allow you to directly enter the working Type Code lists to find interesting occupations compatible with your working personality. Each of these occupations could lead to a potential career. Also, understanding your MBTI® letters will help you better understand yourself and others. This is always a good thing! Q: If I know what my interests are, why do I need to take the MBTI® instrument? A: It is a wonderful confirmation of your interests when you look at a working Type Code list and find occupation/s consistent with your interests! But you may find that you do not have the experience or education that you will need on the job. This information can guide your preparation for a job consistent with your interests. Q: If all of this information is available on O*NET™ Online, why do I need your stuff? A: O*NET™ Online is a wonderful resource to find detailed information about specific jobs and career fields. However, it is not designed to help you determine which jobs or career fields are correct for you. You have to know what jobs you want to pursue before it can help you much. Using our proprietary Careers 4 Me™ tool to help you determine which jobs or career fields are a good match for you is the best place to start. Click here to get started. Q: What if I am interested in a job or career field that your system says is not a good match for me? A: You are certainly free to pursue any job or career that sounds interesting to you. However, our research is based on over 50 years of data collection showing which working personalities are most sucessful in each job. If you select a career that is not a match for your working personality, you will likely have some obstacles to overcome but you could very well be successful in your selected career. Larry J. Gabbard B.S.M.E, M.S.E and M.A has developed a unique method of handling Myers-Briggs® type tables to provide never before seen results in matching individuals to potential career paths as well as simply understanding how their personality relates to their chosen career field. eLCie has over 15 years of research backing the methods used here to help you achieve your Personal and Professional Growth objectives. eLCie proudly serves individuals, entire families, work groups and classrooms as they unlock the door to their future. 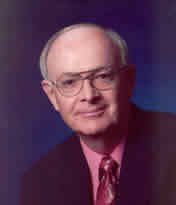 Larry J. Gabbard, Career Consultant and Researcher, B.S.M.E., M.S.E. and M.A., is trained in the use of the Myers-Briggs Type Indicator and has studied, researched and taught the Enneagram for fifteen years. Larry's latest work helps high school and college students as well as job seekers to identify their unique occupational interests based on their personality type. Larry has presented his work at the International Association for Psychological Type, International Enneagram, National Career Development Association, state and local conferences. He received the 2005 APTi National Merit Award. He also received the 2013 Rich Feller award from the Colorado Career Development Association. Larry is a retired Mechanical Engineer from AT&T where he supervised engineering teams for most of his thirty years. He received a B.S. and M.S. from Purdue University and an M.A. from Regis University. His M.A. project correlated the results of the MBTI® and an Enneagram inventory. He continued this work as a Career Counselor and Trainer at Forty Plus of Colorado. The frustration of professionals with a lack of focus in the top 50 occupations for an MBTI® type led Larry to develop Type Occupational Themes. Larry and his wife Carolyn, B.A are certified marriage enrichment leaders and are "seasoned" Enneagram and MBTI® workshop presenters. Colorado is their home and they love to travel and spend time with their four grandchildren. Please indicate the nature of your inquiry in the subject line and then a detailed description of your problem in the email message. We will respond to your question as quickly as possible.